A lot of people have asked me how I was diagnosed and how I felt about it. Well the truth is I don’t remember it very well, I can remember I was not in a good place at all when it happened and I had no choice in going to the doctors. Tom and me had been together about 6 years and Skie was 4 and Jack was about 2. We had already had lots of ups and downs, we had split shortly before each of the kids were born and both were a result of us getting back together (no they weren’t planned but we didn’t regret them either) so things changed a lot especially with Skie which I suppose was when the signs really started to appear but when she was born I was diagnosed with post natal depression, given anti depressants and sent on my way with a repeat perscription. We thought things would get back to normal, we knew P.N.D was common especially in young first time mums so I wasn’t overly bothered about it, I just wanted to get back to being me but just the opposite happened. I have never really lost my temper or screamed and shouted at people or been violent, in fact I am the opposite, confrontation terrifies me so i do everything to avoid it. If I think someone is likely to argue or shout at me I avoid them which is why I don’t go out but I started to get increasingly angry with Tom. I blamed him for everything that had happened; moving out of my parents, not having money, having to leave me job to stay with Skie and even trivial things like me loosing something or something breaking. I become hostile and hateful but only towards him so everything other people did that upset me I would take out on him, the drs say its because I feel safe enough round him to let him see it and behave like it but that is no excuse. I remember one incident just before he made me go to the doctors which I think tipped it for him. It was late and me and him hadn’t eaten so he decided to go to the kebab, I remember getting in a grump cos I didn’t really fancy it but it was all that was open. When he got back I didn’t talk much even though he was being polite, had offered to make me a cup of tea to have with my dinner etc and I just sat there unresponsive. He gave me my drink and food, I opened up the carton and flipped out. I had asked for no onions and there were onions on it, wasn’t Toms fault as he did tell them but they didn’t do it. I was screaming at him about how useless he was and how he couldn’t get anything right and when he didn’t react I lost it even more and threw my cup of tea at him. Yes I threw a cup of tea at him that was only made 10/15 minutes before, to which, he did start shouting at me calling me an idiot etc. It was during this rant he said something that hit me like a house falling on me ‘who are you, where’s the Anne I fell in love with gone?’ I stood there staring then just collapsed in a pile of kebab that had fallen on the floor when I kicked off and sobbed uncontrollably. Tom sat down next to me (still covered in Tea) and suggested I go to the doctors again and ask for new tablets as these had made me worse and I was becoming unbearable to live with. He told me that one day I would be fine, house was spotless, I was full of life and pleased to see him when he got home then out the blue the next day I would spend the day in my pj’s and stare at him like I hated him. He said it couldn’t go on and for the sake of him and the kids I needed to get help. We spent the night talking and I was listening to him explaining and describing what i was like to live with. At first I tried blaming him, that he didn’t help enough, spent too much and earnt to little but the bank statements showing what money had been spent on told a different story. I didn’t even remember spending most of it or some of the arguments he described but I do remember we argued but that was it, no details, no conversations afterwards, there is just this blank space where they should be. I agreed to see the doctor the next day. I don’t remember the entire conversation with the doctor but I remember filling out another depression questionnaire and the doctor asking me to explain what I remember of good days and how long they would last. After I finished talking he told me he suspected I actually have bipolar disorder and he thought that the anti depressants had increased my rate of cycling so it was becoming more aparant to other people, but to be sure he wanted to send me for an evaluation with the mental health team and also stopped my anti depressants. There was a big of a gap between the doctors and the evaluation due to waiting times but things did get better, my moods weren’t changing as often and wouldn’t last as long but they were still just as extreme. Tom would try and tell me when I was in a bad mood but I would just fly off at him so in the end we were barely speaking and if I was in a bad mood or depressed Tom would do everything I was ment to do, put the kids to bed then go out. Looking back I don’t blame him. I was so full of hatrid and anger. I was so angry that I was left like this for so long and nobody had noticed including me for so long. I saw a doctor regularly for other things, how did they not pick up on it? I was also scared. The only time I had ever heard of bipolar was on eastenders and that women was going through hell, was that going to happen to me? Would everyone think I was the local looney that everyone has a funny nickname for and laughs at? I hadn’t told anyone about what the doctors thought, I was scared of being an outcast and noone wanting to know me. This is when I first noticed the paranoia and little did I know it would get worse before it got better and yet again Tom got the brunt of it. I went to my evaluation and the doctor agreed I did indeed have bipolar disorder and recommended some different treatment to help stabilise my moods and stop me getting so depressed when I do go down hill. She tried explaining that once I took the meds that I could live a normal life, I just had to be aware of triggers. If I knew something or someone is likely to trigger either depression or mania to stay away or remove myself from the situation (tad hard to run out of a crowded playground when waiting to pick ur kids up though). I felt such a mix of emotions, I relieved it wasn’t really me saying and doing all those things and hopeful as the doctor said things would get better but was petrified about the future. Would the meds stop working after a while? What if something really bad happens and it tips me over the edge? What if Tom splits with me or no one wants to know me? What about the kids, have I passed it on to them? I spoke it all through with Tom and he reassured me he wasn’t going anywhere and would stand by me whatever happened and that my family would stand by me no matter what and if friends didn’t then they weren’t really friends. I started taking the meds and things got better, we argued less, I felt more ‘human’ and I started to be more aware of my moods, I know if things are getting to me more than usual, I am about to go down so I warn Tom and if I’m unusally energetic or starting to have big ideas and plans I am becoming manic so Tom takes the bank cards away (and after a half painted bedroom in red and purple, now hides the decorating stuff too lol). It has by no means gone away and it taken me a long time to be able to say confidently ‘I am bipolar and proud’ but I can and we deal with each day as it comes. I am not perfect and still go overboard in arguements, say mean things and on the odd occassion shoved or tried to hurt Tom but when that happens we both realise thats the time for a trip to the doctor and a med shake up and things ease up. Hospital stays, nobody likes them but sometimes they are a must. Some people are only in once or twice in their lives whereas some people spend a lot more time in there, we are the latter. Before the girls were born we had only had 4 visits to hospital, 2 for the births of Skie and Jack, 1 because Skie wasn’t able to eat or drink without bringing it back up and the other when Jack burnt his hand. So we weren’t familar with our hospital, it was a strange clinical place that we didn’t didn’t know our way round and was full of strangers. 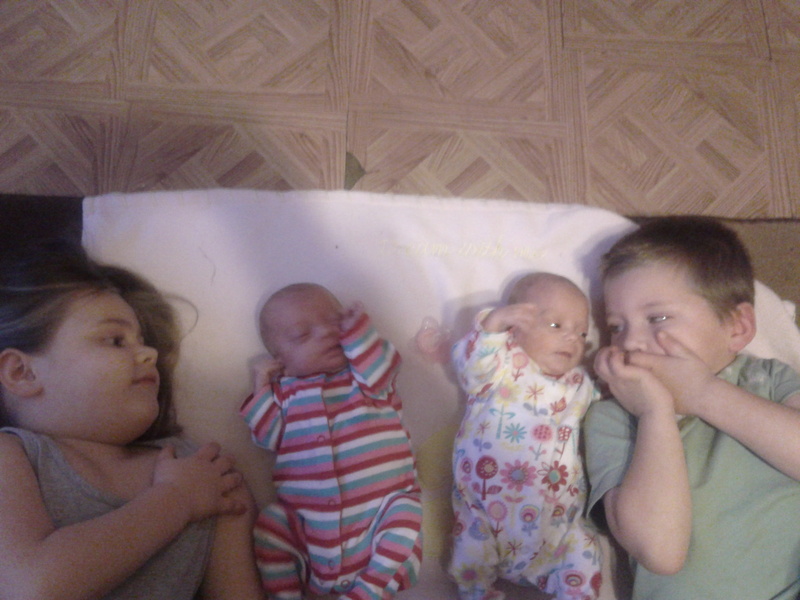 Well all that changed dramatically when the girls were born. 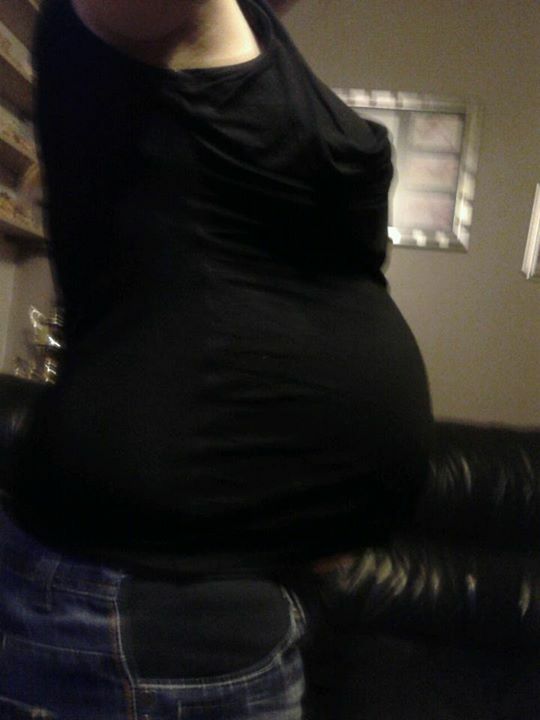 I had the girls naturally at 30 weeks. After they were delivered they were handed over to the nicu team and once they were stabilised they were moved down to the nicu. I didn’t require any care after delivery so I was taken back down to the ward to have a shower and get changed. Within 20 minutes of delivering Georgia I was dressed and showered wanting to go see them but the midwives wanted to have a cup of tea and some toast first. I finished that and was promptly sick. The midwife came to check me over and couldn’t believe how quick I was recovering. I was walking round the place like I had the babes a week ago not an hour ago. After she checked me she rang down to the nicu who said they needed more time to sort the girls before we went down so me and the midwives converted the weights the dr gave us as they were in kgs and I didnt know what it was. 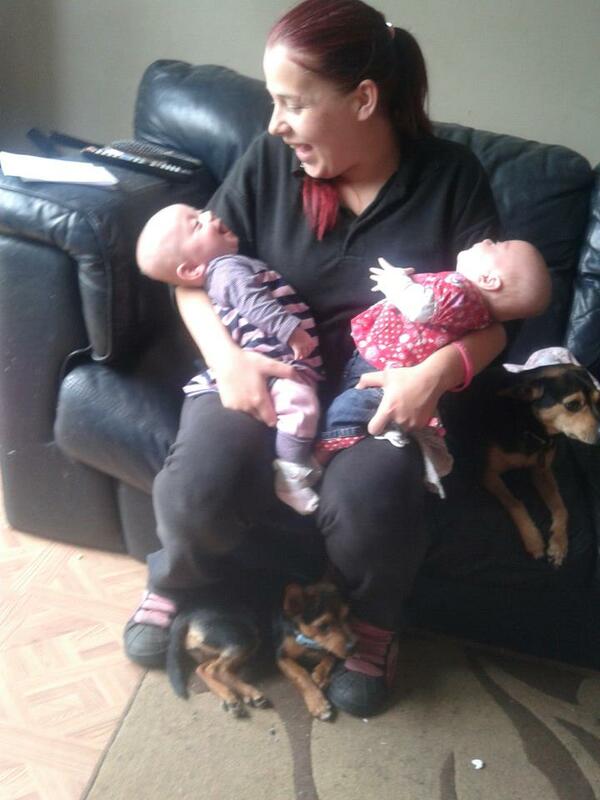 Hollie was 2lb 15oz and Georgia 3lb 1oz. We make our way to the nicu (after I had to persuade the midwife I didnt need a wheelchair) not knowing what to expect and we never got our tour or our chat to the nicu dr as everything happened too quick. We buzzed in and walked through the doors. Unlike every other part of the hospital it was so quiet and calm. A nurse greeted us and showed us where to wash and sanitise our hands as we entered a dimly lit room with several nurses in it and six incubators, 3 each side of the room. It suddenly dawned on me Hollie was over 2 hours old and I wouldn’t be able to tell which baby she was to look at. I panicked, what if I go to the wrong baby? Are they gunna show me where they are? I feel it rise and I just wanna run and hide but the urge to wanna see my babies take over, I take a deep breath, push the tears back and follow the nurse who was waiting for us. Hollie is right at the end near the door and Georgia is at the opposite end of the same row with a baby inbetween. I go to Hollie first as she is closer and her size takes my breath away. So tiny, yet perfect in every way. She has lots of tubes and wires and is wearing nothing but the tiniest nappy and a knitted hat, she looks so peaceful and laying so still she looks like one of Skies dolls. I reach out to touch her only for my hand to be met with the plastic incubator, it dawns on me. I haven’t even touched or kissed them yet, most babies at 2 hours old have had cuddles from mummy and daddy and lots of kisses too, my girls haven’t had any, I haven’t even touched them or felt their hair or their soft skin, I didn’t even put their hats or nappies on. I go over to Georgia to find she has a bright U.V light shining on her and they’ve put some eye protectors on her. She has also got at extra tube that Hollie didn’t have that goes up her nose and judging by the noise is providing her with air. I just stand with my hand on the incubator, face lent against it staring at her. I want to cry so much but I refuse to infront of them and everyone else, I will be strong for them I am going fight just like they are. Just as I am pushing it all down my parents arrived to see the girls. As its not visiting hours they can’t stop long but Dad catches pictures for me as we didnt get chance before and then we go off for a drink and we fill them in on all the details, make a few phones calls then I announce it on facebook where we get lots of support from everyone which I draw strength from. When we go back in a dr sits down and explains everything to us. The 3 sticky pads on their chests, the drips, feeding tubes and the monitors. He explains the light are because Georgia is Jaundice and this is quite common so to expect them both to be on and off them for their stay. The tube Georgia has is CPAP which is helping her breath as she was having issues but she will be slowly weaned off it. He also told us that we shouldn’t expect them home until their due date at least. 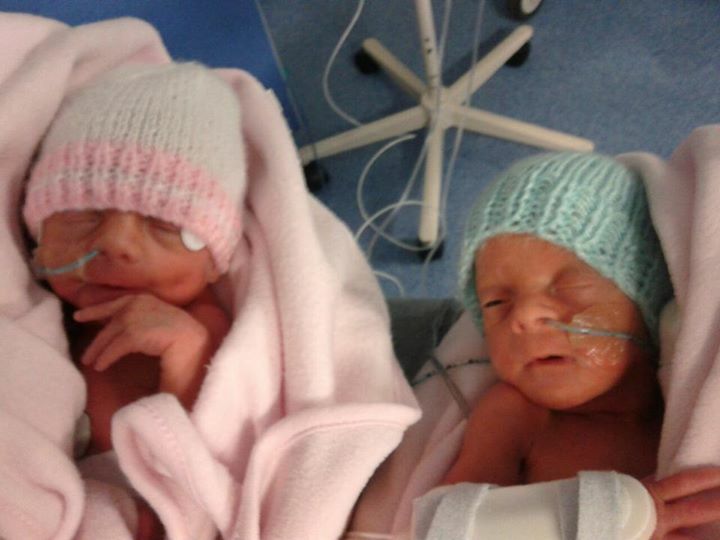 They were born on the 14th of Janurary, their due date the 26th of March so we had a long journey ahead of us. We spent the night in there only leaving for a drink or cigarette, wondering the halls of the dark quiet hospital trying to absorb it all, the whole time Tom telling me how proud and impressed he is of me because of what I have just done for us and our family as much as I appreciated it all, I could think was is this my fault? Did I do something wrong? After spending hours wondering back and forth watching them both sleeping I give in to Tom and the nurses and go and get some sleep on the ward. It was so hard hearing other mums sorting out their babies, listening to the cries, one baby just doesn’t settle and carries on for a while, then the mum comes walking across the ward and asks a midwife to take him as she can’t handle it and needs to sleep. What I wouldn’t have given to have my babies next to me crying, the whole time I was in the nicu neither one had made a sound and had barely moved. I would have loved to have them next to me and to drift off to sleep watching them. I felt awful for feeling like it but I just wanted to shout at the women and tell her she should think herself lucky her baby is up here with her but I just roll over and try to sleep. The next day the midwives agree to discharge me as I just couldn’t cope with the idea of spending another night waking up to other peoples babies whilst mine are no where near me. I go down to see them as soon as I am sorted. When I get there Tom is already there, it turns out despite the nurses pleas he hasn’t left the girls all night. I feel guilty that he has been here all night whilst I have been asleep upstairs although I’m not sure I would’ve exactly called it sleep. We are told about ward rounds and how they work and what happens so we wait to speak to a dr. He explains the girls are doing well and they are hoping to start giving them small amounts of milk as well as their TPN fluid in the hopes we can gradually reduce their TPN and increase their feeds to milk only. He also explains they may need to put a long line in (a tube that goes up their arm and the tip sits just under their shoulder) just incase they should need it. He also said they are reducing Georgias CPAP so all round good news. As the days went on Georgia came off CPAP but also needed a long line fitted as she wasn’t tolerating milk feeds as well as Hollie and they were awaiting blood cultures to check her for an infection. Luckily all came back clear. 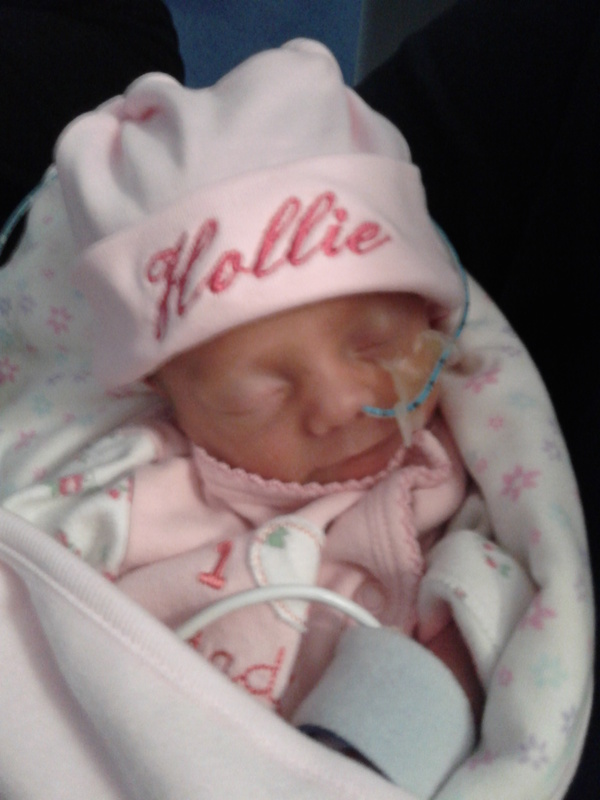 Hollie did really well and was on full milk feeds 2 hourly quite quickly. 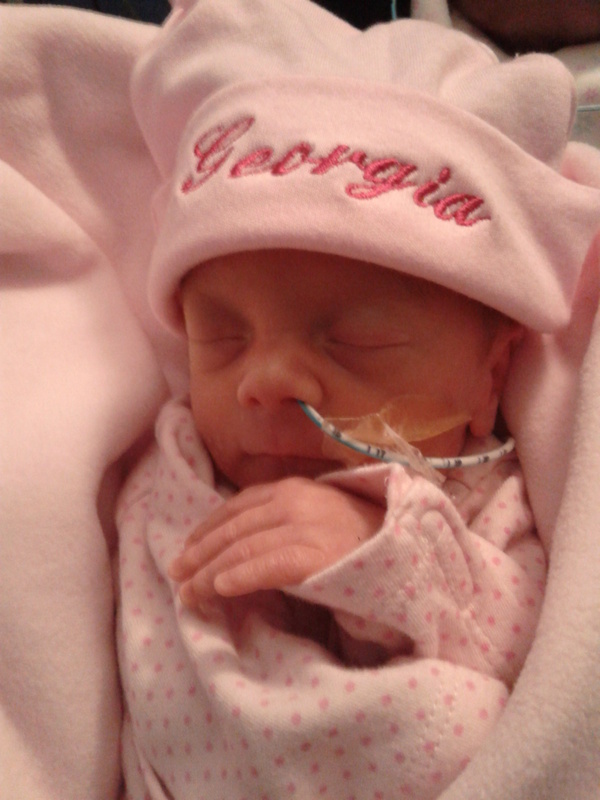 Georgia however kept aspirating into her tube so they had to keep reducing and trying again next feed. Eventually, both the girls come out of incubators and in cots like u are given when your baby is born on the ward. I was finally starting to feel like a mum to them. We were changing bums, top to tailing them, learnt how to tube feed them and could cuddle them pretty much anytime we liked. We now knew what the monitors ment, what was good and bad, when to worry about the beeps and when not to, we knew the nurses better, felt more at ease, it really was beginning to feel like a second home which is bad in a sense as its a hospital but also good because if the nurses and other staff hadn’t have been so friendly and understanding it never would’ve felt like that. 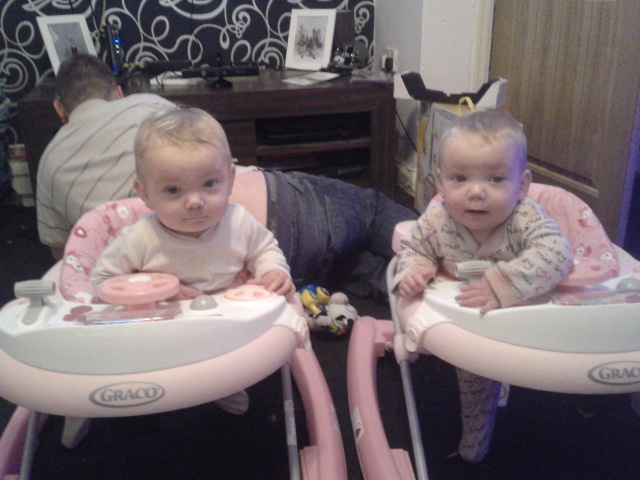 Once the girls had proven they could keep their own tempratures stable in their cots we were given one they could share. 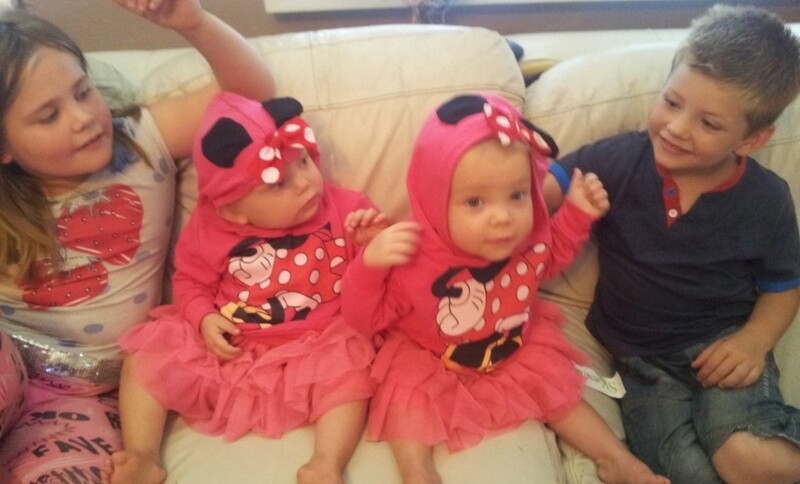 I was so pleased my girlies could share a cot just like I planned for them at home, I was able to dress them although everything, even prem baby clothes drowned them. By week 4 we were pretty much doing everything we would do at home, all monitors, lines and tubes were gone excepting their feeding their tubes which they were barely using now. 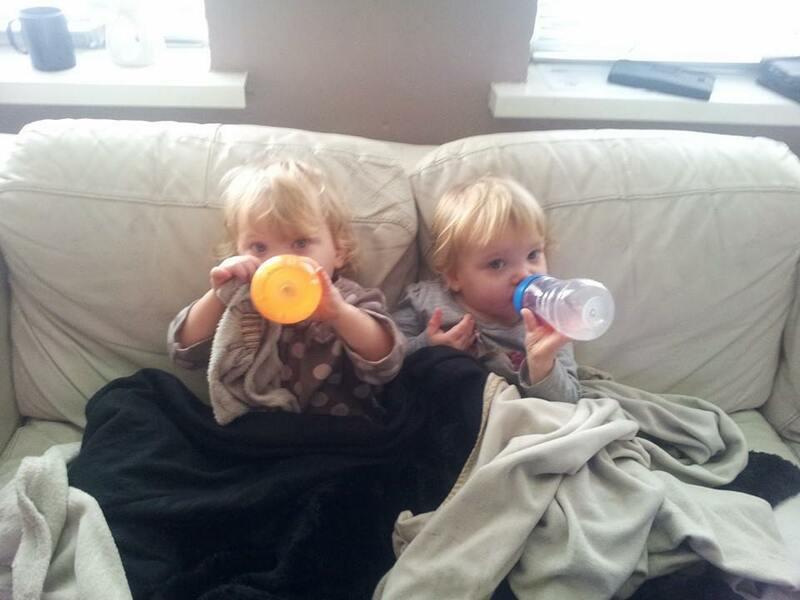 Their final hurdles were full bottle feeds and the car seat challenge. The bottle feeds would come as they got used to sucking and the car seat challenge was simply for them to sit in their car seats for an hour with a monitor on. If they didn’t set the alarms off they passed, if they did we would have to wait 24 hours to try again but being the little fighters they are they took on the challenge and passed first time. The day before their discharge day I got a phone call from their nurse asking if we could come in before the drs changed over as he wants to speak with us, I panicked, whats happened? Aren’t they allowed home? But they nurse kept reassuring me nothing was wrong and not to worry but I did the opposite. I rang Tom who was at work and he left straight away. We got to the hospital and the nurse called the dr. When he came in the nurse shut the door so no one else could come in. I was terrified what was he going to say? The girls were fine yesterday, the drs keep telling us the have exceeded expectations and done so well so whats changed in 24 hours? He stands infront of us and explains that as the girls were born before 32 weeks they have been having regular ultrasounds on the heads to check the blood vessels in their brains have been sealing properly and there isn’t any bleeding, but during their last one they discovered Georgia has a small cist on the part of her brain that controls development. He didn’t know if it was going to affect her, wether it would get bigger or smaller it was just something they had to monitor and hope it shrinks and goes away just as it appeared. He told us she could still come home as they couldn’t remove it and she would have to come back for checks and if we noticed her head change shape or get big rapidly to come to hospital. Our world was now full of what ifs. What if it gets bigger, what if it does affect her development and she can’t walk or talk or ever play with her sister? We stay with them for the rest of the evening then go to my parents to explain what was going on. My mum reassured and reminded me how far they had already come so why should anything change now. I felt so much better and was now just looking forward to bringing my babies home. I hate shopping and I hate supermarkets! All those people trying to get up and down isles grabbing stuff off the shelf and not being able to steer a trolley for dear life, it is no fun at all! Atlhough today wasn’t too bad, there were still people who couldn’t steer trolleys and those who can’t hear you shout excuse me as loud as you can while you struggle to get past them without ramming everyones ankles but I am in a good mood and had some fun lol. Firstly we went down the toy isle. I love the toy isle!! All those noisy, irrtating toys you pray no one buys for your kids, yet nothing is more amusing than setting everything off at the same time then walk off watching the shop assistant desperatly trying to turn them off. By the time I get to the end of the isle I am laughing so much I am crying and bent double over the trolley and the girls are pulling my hair. Whilst this is going on Tom is behind me shaking his head asking why he brought me shopping, which, just makes me laugh even more. We continue relatively uneventful down the food isles, getting the usual stares and comments about the twins but as I am in one of those moods I decided not to get them hump but humour people. 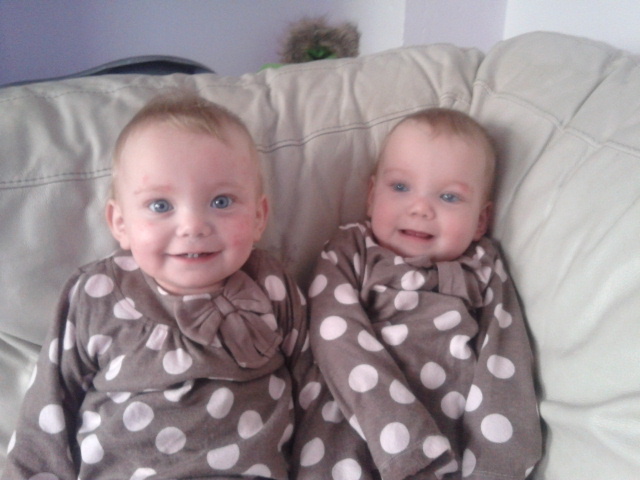 As they walk past me and say ‘oooohhhh twins’ I reply whilst trying not to laugh ‘yes twins I have 2 babies’ to which I burst out laughing and so do the girls and the stranger gives me a wierd look and rushes off. Tom is not impressed and informs me we will get kicked out if I carry on so I answer is that a challenge and he raises his eyebrows at me and makes me laugh again lol. We get to the checkout and I unload as usual but everything has to be in groups; frozen, packets, tins etc and if that order is messed up I get the hump so Tom decides to muddle them up. I ask him to stop and put it back but the more I react the more he does it so I moan, to which the checkout lady tells him off for winding me up when I was just trying to get on with the shopping. That was the point I lost it and laughed so much I almost wet myself as after all that all Tom had been trying to do for the last hour!! We get to the car, load up and shut the doors, I then get told I am banned from all supermarkets and toy shops whilst I am in this mood. So it looks like Tom is doing all the christmas present and food shopping on his own this year lol.